Si Verizon Security & Privacy no está instalada, consulta Download / Install Verizon Security & Privacy - Android. From a Home screen, swipe up to access the apps screen. If unavailable, tap the Apps icon. 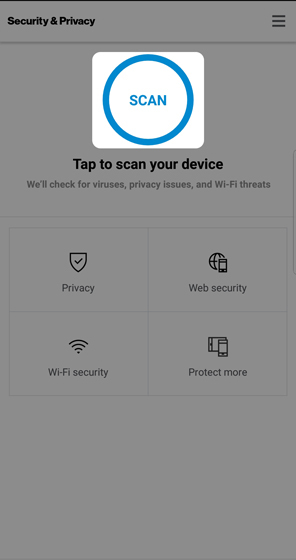 Open the Verizon Security & Privacy app . 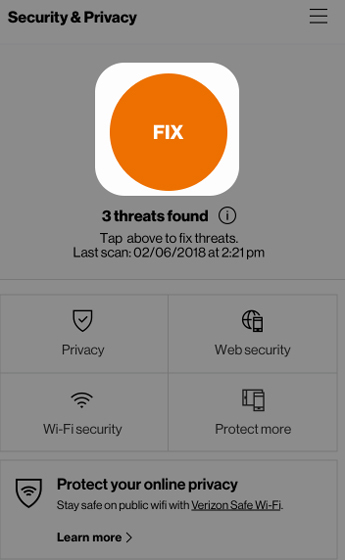 If the app detects a threat, tap FIX. 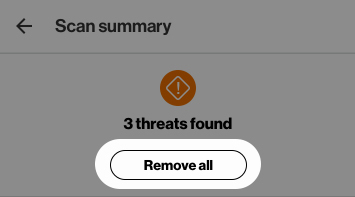 From the 'Scan summary' screen, tap Remove all.